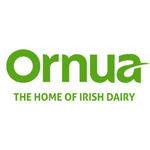 Description: Ornua is an agri-food commercial co-op which markets and sells dairy products on behalf of its members; Irish dairy farmers and processors. Ornua is responsible for over 60% of Ireland’s dairy exports to over 100 countries with annual sales of +€2 billion. Some of Ornua’s brands include Kerrygold, Dubliner Cheese and MU with pre-packing and blending facilities in Ireland, Germany, the UK, the USA and the Middle East. One of the main elements to Ornua’s business is that it develops bespoke food ingredient solutions for many of the world’s leading food manufacturers. Headquarters: Grattan House, Mount Street Lower, Dublin 2.